We plan, execute and offer technologies and innovative services for any kind of work in the field of foundation engineering. 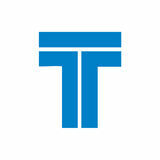 Trevi Group is a worldwide leader in the field of soil engineering (special foundations, tunnel excavation, soil consolidation and the building and marketing of special rigs and equipment relevant to this engineering sector); the Group is also active in the drilling sector (oil, gas and water) both in the production of plant and the supply of services, and it also builds automated underground car parks. The Group was established in Cesena in 1957 and to day has more than 30 branches and is present in over 80 countries.